Last week I traveled to St. Louis Missouri for Shutterfest, which is an awesome two day photo conference. I took seven classes over the course of the two days and learned a ton! This was my second year going to Shutterfest, and I absolutely loved it and plan on going again next year! The St. Louis Union Station is such a gorgeous location, there are so many places for photos and the hotel itself is wonderful too! Day one started with a big lecture about marketing with the amazing Sal Cincotta, after that I had a lighting class and then two other lecture classes about wedding photography. 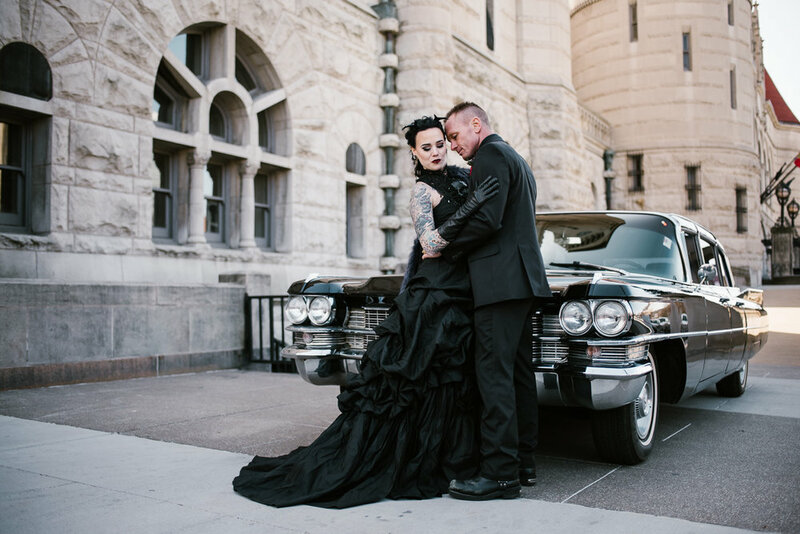 Day two started with a lecture about online presence after that I attended an amazing stylized Gothic wedding shoot (which I am obsessed over!!) My last class was another wedding class, taking about posing and how to make the best out of a crazy wedding timeline. Overall, every one of my classes was amazing and I learned something from each of them! Photography conferences and workshops are so important to me. Investing in myself and my business is one of my top priorities, I want my couples to have the best from me. There is always something new to learn and new products to see from vendors. My couples invest in me, so I need to be investing in myself to give them the ultimate experience. I didn't take a ton of images during the confrence but, below is a little overview of my time at Shutterfest!